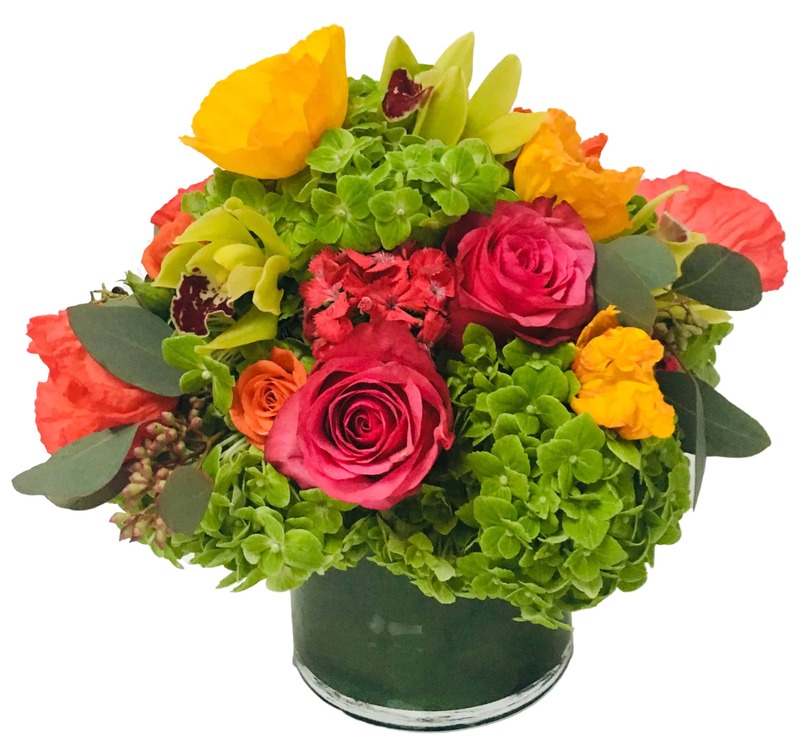 Our best combination arrangement featuring Cymbidium Orchids, Imported Roses, and Poppies in a beautiful chartreuse and a seasonal warm color blend. It makes an excellent gift or is the perfect quick cheer-me-up for that special friend! It's bursting with color and fragrance and is sure to brighten anyone's day!